While Samsung, HTC, LG, Sony and every other phone brand that isn't Apple was unveiling quad core phones, Nokia's hold out was notable. When even the likes of ZTE are making a supercharged handset for a very low price, you'd have to wonder why Nokia would swim against the tide for so long, with flagship after flagship device sailing by using only a dual core CPU. The argument that quad core is unnecessary isn't valid, as anything that requires heavy lifting (such as photography and editing at high resolution) needs an engine to keep up – and Nokia's imaging hardware was certainly struggling with the larger files. However, Samuli Hanninen, Nokia's VP of software program management, told TechRadar that it was a combination of having to work with Microsoft to get the platform ready as well as the right technology not being available. 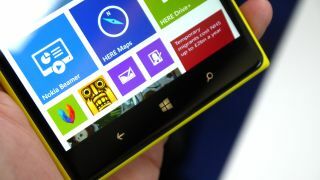 He outlined how things like the larger sensor on the Lumia 1020 needed elements within the Windows Phone platform rewritten to support its massive pictures, and the Full HD display needed work on the OS level to support things like a third column before the Lumia 1520 could be unveiled. "We also had to work on the apps; this led to things like the extra row in the email app to make the most of the extra space [a six inch display could offer], " said Hanninen. He also pointed out that while it wasn't technically possible to run a quad core processor with Full HD graphics on a Windows Phone last year, Nokia wouldn't have wanted to use one anyway on its hardware. "I don't think it took us a long time [to bring a Full HD display to a Nokia phone]," Hanninen said when asked why Nokia had delayed the decision so long. "You only see the benefits when using a 5-inch screen and larger, anything below that the eye can't see the difference. "If I had the possibility of having a quad core CPU last year, I'd have said that I don't want it," said Hanninen. He pointed out that while phones went down that route last year, the performance wasn't good enough in Nokia's eyes. "You have to get the best from a quad core chip. If you do it badly then the phones get very hot," he added. The availability of Qualcomm's Snapdragon 800 chip seems to have changed that thinking for Nokia and Microsoft, as both had to agree on the changes to the Windows Phone platform to allow the hardware through. But with the more power-efficient chip, as well as its enhanced ability to process large photo and video files, Nokia finally believed the time was right to use the unit in both its phone and tablet range, with the Lumia 2520 Windows tablet taking a faster-clocked version of the same chip too. Power-fans finally thinking that Nokia will be throwing caution to the wind and plugging in the most powerful unit just to satisfy consumers, especially now Microsoft has allowed it in Windows Phone, will need to think again though. Hanninen pointed out that things like battery life and mobility are the priority for Nokia, not headline speeds, as he believes that customers value that more in real life. Want to find out if the Lumia 1520 is any good? Check out our detailed hands on review.